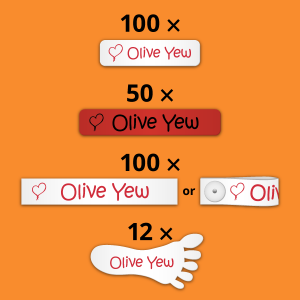 Our stick on shoe labels are designed to help both you and your children identify their footwear. They are designed as a pair of feet, which are great for children as it can help them identify which is their left and right shoe making it easier for them to put the correct shoe on. It is very important to make sure you stick the clear vinyl patch enclosed in the pack over the white label as this ensures your label is protected and it also makes it waterproof so you can put trainers in the washing machine at low temperatures.